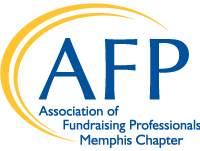 The Memphis Chapter was established in 1985 and currently represents 150 members. We have a wide variety of activities for our members including monthly membership luncheons, special Audioconferences, an annual awards ceremony, and a monthly newsletter. Dues are $50. For more information, please contact Millie McPherson at mpmcpherson@comcast.net.